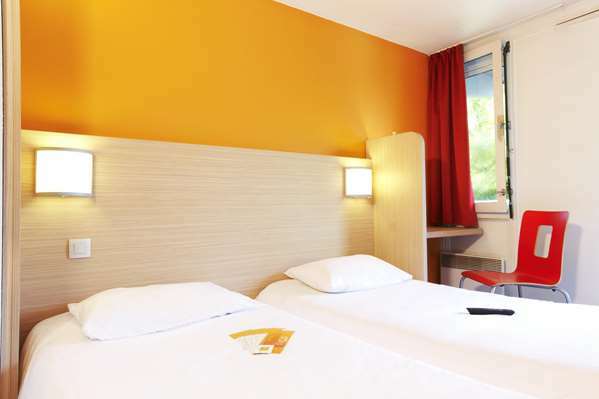 Hotel Première Classe Hotel Tours - Joue-les-Tours, located in the wooded park of Lac des Bretonnieres, and 2 min walk from Espace Malraux, is ideal for organizing your sightseeing excursions. Thanks to nearby highways, all the châteaux of the Loire are easily accessible: Villandry, Savonnière, Chinon, Ussé, Amboise, Langeais, Chambord, Chenonceau. The same goes for the old town of Tours as well as its city center. Professionals and sports enthusiasts have plenty to do with the Vinci Congress Center, the Rochepinard exhibition center as well as nearby sports complexes dedicated to BMX and table tennis. 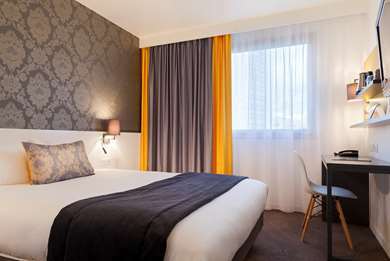 Whatever the reason for their stay, all guests will enjoy this new generation Première Classe hotel: completely renovated, it offers a bathroom in every room, but also a new bedding, a flat-screen TV and unlimited free Wi-Fi. Excellent news for animal lovers, they can now travel with their favorite companion in exchange for a supplement of €3 per day, per pet. 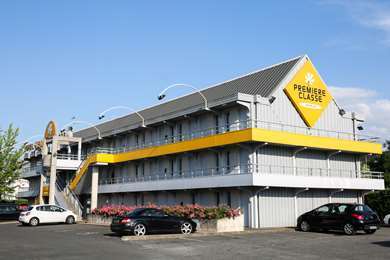 Hotel Première Classe Hotel Tours Sud - Joue-les-Tours belongs to the new generation of Première Classe hotels. 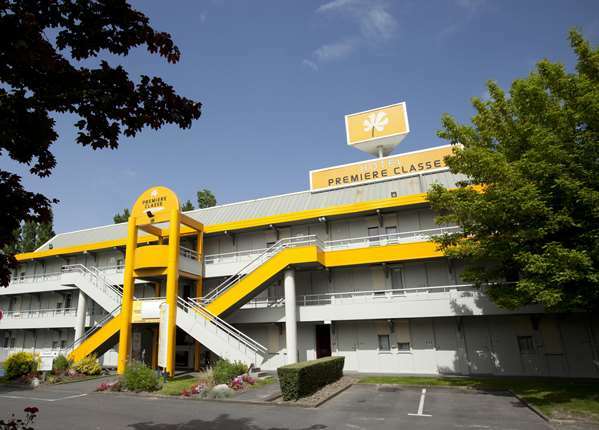 Completely renovated, it offers its customers free parking and exclusive Wi-Fi+ service, a high-speed wireless connection in all public areas and all rooms. In addition, pets are welcome in exchange for a supplement of €3 per day, per pet. 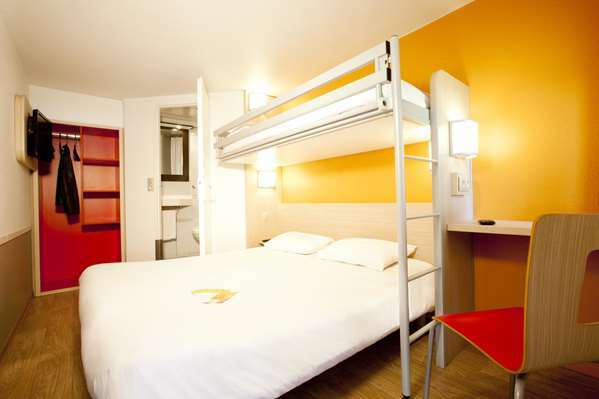 All rooms available (1 double bed, 2 single beds, triple and family) can accommodate up to 3 people at no extra charge. 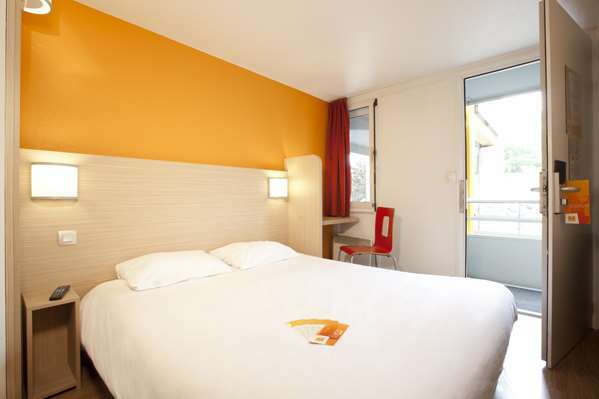 All are equipped with new bedding with a warm, soft duvet, a flat screen TV (Canal+ and CanalSat), air conditioning and individual heating and a private bathroom with shower, toilet and sink (towels and bath products are provided). 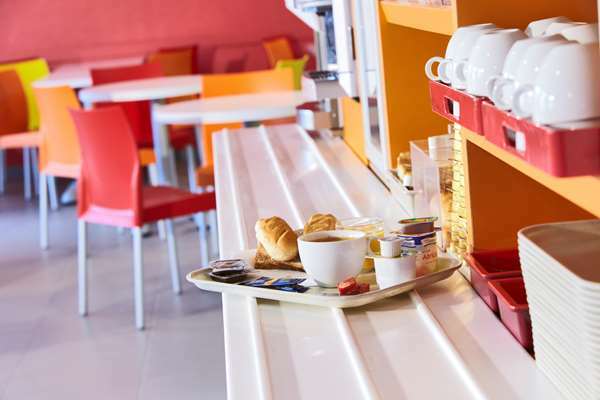 Recharge your batteries with our all-you-can-eat breakfast buffet for just €5.90 at Hotel Première Classe Tours Sud - Joué-lès-Tours. Children ages 10 and under receive a 50% discount (offer valid for paying hotel guests, up to 2 children per adult). 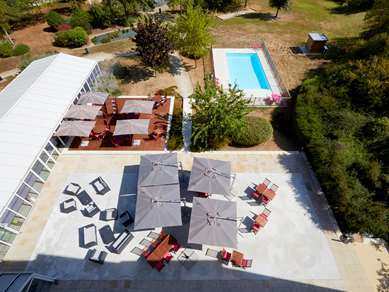 We had difficulty finding this hotel, which we had booked as an overnight stay en route from Calais to the Dordogne, and after a longish drive we were quite fraught when we finally arrived there. 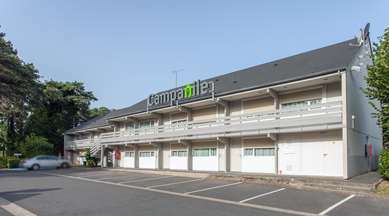 The place looked extremely shabby from the outside, but we had a welcoming check in from the receptionist, who also gave us a discount voucher if we chose to eat at the adjoining Campanile Hotel - she even booked a table for us, which was much appreciated. 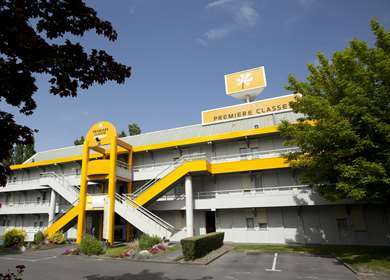 The room was small but clean, although it smelled strongly of cigarette smoke, and could have done with a makeover. The toilet/shower cubicle was also very small, but the bed was comfortable and we got a decent nights sleep. 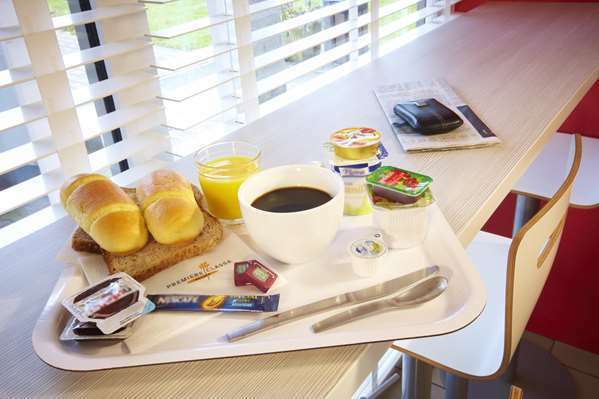 The self service continental breakfast was excellent and great value for money. 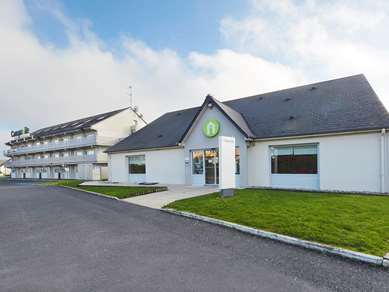 We nicknamed this place "The Ritz" and we were dubious about another Premiere Classe Hotel booking we had made for a stop over on our return journey to Calais, but this latter hotel (Barjouville, Chatres) turned out to be excellent - see separate review. From the outside it looked like the hotel needed a renovation. Once inside it was different. The room was spotless and had recently been upgraded to a very high standard. 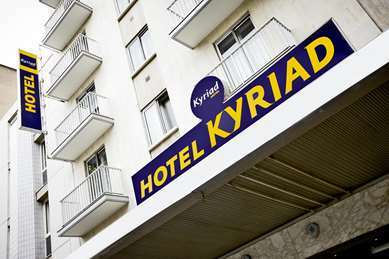 The receptionist was very welcoming and we had a very quiet night in a superb location near the lake. We have stayed in this hotel many times. Thanks you for your nice feedback, we hope to see you again for your next trip in our Loire Valley. Nice, quiet setting within easy walk to lake and wooded area. AC in room made for a comfortable nights sleep. Breakfast was quiet when we are with plenty of choice and fresh bread, all do it yourself. Thanks you for your nice feedback, we hope to see you again in our beautiful Loire Valley. 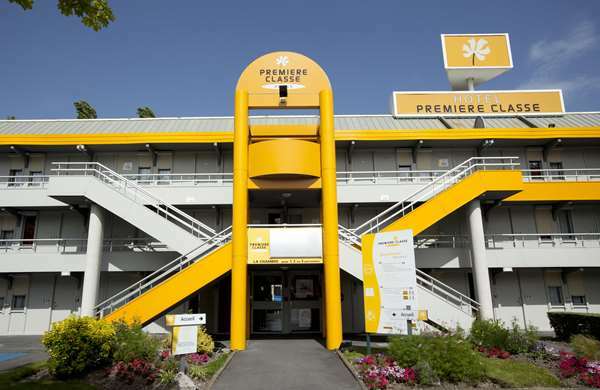 We stayed at a Premiere Classe hotel in Caen and were broadly impressed (see separate review) so booked this one expecting more of the same - however it's not as good. At this location the room and shower-room are smaller (shower separated from toilet area by a useless plastic curtain of the 'stick to you once shower on' type! ), access to rooms is via stairs that are external and accessible to anyone, and car park is public rather than secured. Overall felt a bit tired and dated. 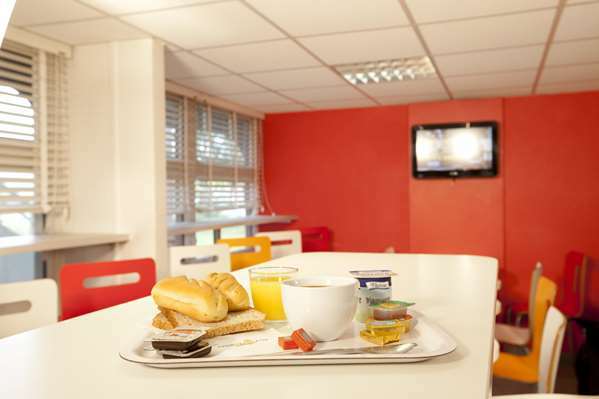 Having said all that, for less than £30 a night and with a basic, but perfectly ok, breakfast for £5 it's still reasonable value for a brief stop-over of the 'arrive late and leave early' variety. Thanks you for your feedback. We're sorry for the disagreement you had. We arrived very late and had to get the room key from the machine. The key did not work but we called the number for reception and she was there in a few minutes with a new key. Small room, adapted for disabled but door was a little tight to get my mobility scooter in and out of. Lots of lightbulbs need changing. Not first class but good just to sleep in on a road trip etc.